Missy truly embraces Sacred Heart education. She is not only an Academy educator but a child of the Sacred Heart herself (Villa Duchesne) and the mother of three ASH graduates. 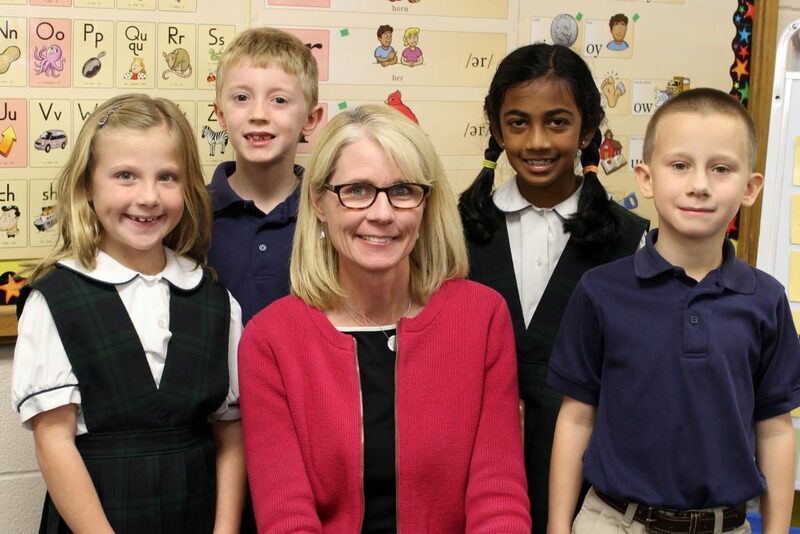 She brings her love of the Sacred Heart to her classroom each day. Missy recognizes that each child deserves to be valued and she strives to provide a safe classroom environment where each child feels loved and nurtured. Her inclusive classroom allows each student to be his or her authentic self and to grow as an individual academically, behaviorally and spiritually. With a bachelor of science in education from the University of Kansas, Missy has taught Primary, First, and now Second Class at the Academy for 16 years. She enjoys attending workshops and seminars focusing on differentiation and educating the whole child. She loves to share what she has learned with her class by offering activities and learning opportunities that honor the unique abilities, diverse skills, and ever-changing interests of her students. Beyond the classroom, Missy’s greatest joy is spending time with her family and two cats. In the summer months, she can be found relaxing at the beach or working in her garden. One of her greatest passions is learning about and hunting for gems and fossils on family vacations.